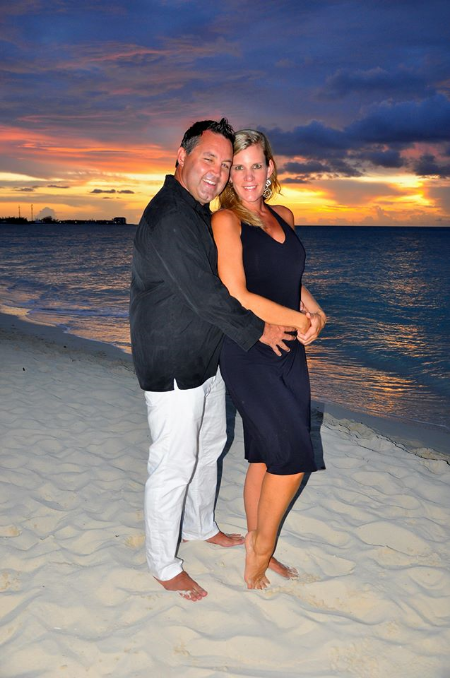 My husband, Mark, and I at Sandals' Royal Bahamian in Nassau. Hi! My name is Amanda Roberts, also known as The Vacation Chic. I am a travel expert and I specialize in helping couples and families reconnect through travel. ﻿Many people have a negative connotation with the term "travel agent" and associate it with expensive trips, tricks or scams. This could not be further from the truth! In reality, letting me help book your trip does not cost you anything extra. Seriously. My services are free with your vacation. I also have access to the best offers, deals and exclusive booking packages around. My focus every day is to provide top level customer service and advice to my clients, from your decision to plan a vacation, destination wedding or honeymoon to the time you are back home from your destination, safe and sound. ​I will be your personal concierge through every step of the way and share with you my expertise, at absolutely no additional cost to you. Honeymoons, Family Vacations. destination weddings, birthday groups, romantic getaways, bachelor/bachelorette parties, family reunions and incentive groups. Still not convinced? Check out my reviews on WeddingWire.com below!